Have you ever heard of clear braces? With Invisalign, patients can obtain practically invisible smile correction for minor cases of misalignment. What is Invisalign? Does anyone qualify for this cosmetic procedure? True or False: An uneven smile can impact your health. True or False: Invisalign uses clear aligners. True or False: The aligners can be removed before meals. True or False: Both teens and adults can benefit from clear braces. True. Teeth that are uneven or overlap make thorough brushing and flossing difficult. As a result, food can remain trapped between teeth, where bacteria break down the particles. The process coats the teeth in plaque, which inflames the gum tissue and weakens tooth enamel, causing an elevation in the risk of tooth decay and gum disease. Misalignment can also place pressure on the jaw joints, leading to TMJ disorder and possibly bruxism, which refers to the grinding or clenching of the teeth. Both can lead to a number of uncomfortable symptoms, including jaw pain, headaches, and damaged teeth. True. The doctor will take impressions and images of your teeth, which the Invisalign lab uses to design and fabricate a series of clear plastic aligners. Patients then wear them everyday, upgrading to a new set about once every two weeks. The entire treatment process typically takes a year. True. You won’t need to avoid hard or sticky foods as you can simply remove your orthodontics before eating. 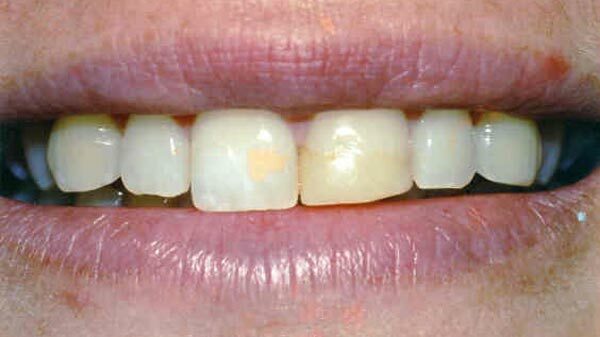 You can also remove them before brushing and flossing for more thorough oral maintenance. Patients may also choose to remove them prior to special occasions, such as dates or graduation. True. As long as patients are over the age of 16 and have minor alignment issues, then they will likely qualify for treatment. An examination will be necessary to decide if clear braces are the best choice for correcting misalignment.